One key area which sets the backdrop of the upcoming dialogue is the rapidly shifting balance of power giving rise to new constructs like 'Indo-Pacific'. The first edition of the much-awaited 2+2 Dialogue on foreign and defence affairs between India and the US is finally going to take place on September 6 at New Delhi. For the two nations, this is a vital opportunity to strengthen their strategic and security ties but more importantly, it is an opportunity to exchange views on a range of bilateral, regional and global issues of mutual interest. In brief, this must include defining the key areas of co-operation between the two countries starting from the west of India to her eastern flank while including South Asia and the Indian Ocean. That said, one key area which sets the backdrop of the dialogue is the rapidly shifting balance of power giving rise to new constructs like ‘Indo-Pacific’. Basically, Indo-Pacific is being hailed as a region where the fulcrum of power is shifting. It is true, but only in part. The country to wield significant power will be China which is excluded from this construct. What Indo-Pacific more accurately represents is the geography that is critical to defending the international liberal order in the context of growing Chinese influence. For India, what it entails can be best summed up in Prime Minister Modi’s words at the recently held Shangri-La Dialogue where he described it as a “natural region” ranging “from the shores of Africa to that of the Americas” and argued that it should be a “free, open and inclusive” region grounded in “rules and norms and based on the consent of all, not on the power of the few”. However, the US National Security Strategy unveiled late last year defines it as a region “from the west coast of India to the western shores of the United States,” thereby aligning it more closely with the Australian or Japanese description. This point of departure in the understanding of Indo-Pacific between India and the US can have an enormous implication. This is particularly true if Indo-Pacific is envisaged as a construct which can provide an alternative to China’s Belt and Road Initiative – a project connecting, China, Asia and Europe. To put this simply, it is difficult to fathom why the US is looking eastwards of India when China is going westwards into Europe. This is not to say that eastern orientation of the US is incorrect but perhaps it is more justified on the part of Australia and Japan. For the US, what lies to the west of India should be just as important, particularly Europe which has been the longest strategic partner of the US and whose loss to China will be the biggest shock to the liberal order. It is in this context that the 2+2 Dialogue between India and the US should have six areas of cooperation namely, the West of India, South Asia, the Indian Ocean, ASEAN, Australia-Japan and defence cooperation, the last one being already an explicit part of the 2+2 agenda. 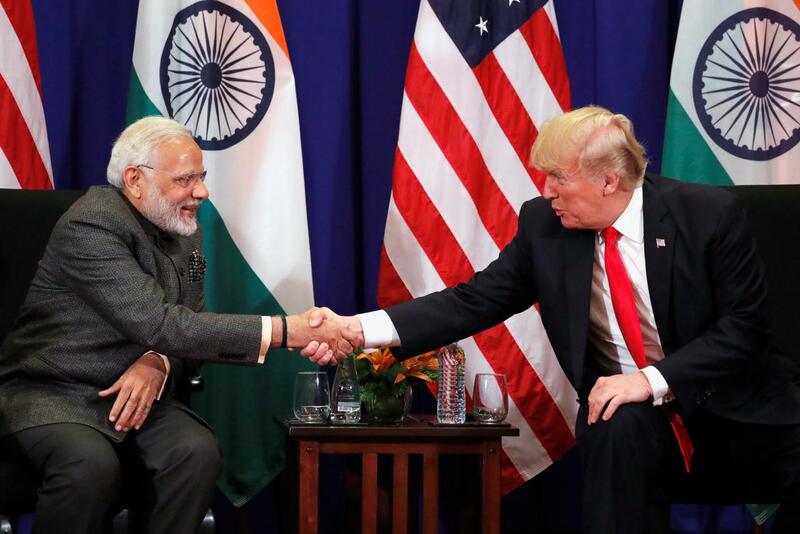 With regard to the first area, the key question is how to structure a US-India partnership that can catalyse an alternative Eurasian infrastructure and development model. While details could be worked out through greater engagement between the two countries, it may be done by articulating the norms for such a model jointly and by pooling in financial resources for development. With regard to the second area, the question should be on how the US and India can work together to strengthen the Indian economy so that it can counter the unhealthy grip of Chinese economic linkage in its South Asian neighbourhood. The question on the Indian Ocean area should be as to how US can support India in strengthening Indian Ocean Naval Symposium (IONS), a regional forum of Indian Ocean littoral states. Essentially, a security construct, the IONS comprises 36 nations including South Asian, West Asian, East African, South East Asian and Australia. Amongst the countries in IONS, it is worth noting that Iran is among them and hence a partaker in ensuring the stability of India Ocean and by implication of the Indo-Pacific. Be that as it may, India and the US could explore ideas such as facility sharing, burden sharing and perhaps even craft a new Indian Ocean strategy altogether to ensure that India retains a dominant position in the Indian Ocean and hence a favourable position in the Indo-Pacific. This is particularly important if one considers that China’s growing military, infrastructure and economic interest in the Indian Ocean can result into an Indo-Pacific that is less free, less open, less secure and less prosperous for both the US and India. The key question when dealing with ASEAN should be: how can India and the US address the issue that has divided ASEAN down the middle? In other words, how to foster unanimity amongst ASEAN countries so that they can effectively deal with China over ownership, control, use and exploitation of oil, gas, mineral and fisheries in the South China Sea. With regard to dealing with Australia and Japan, the question should be just how the Quad of India, US, Australia and Japan can work together to find the new strategic equilibrium which holds out the prospect of continuing the strategic stability while being mindful about Chinese sensitivities. India’s improved relations with China and its recent reset in that context should be seen as being central to the Quad strategy. Seen closely, it eliminates unnecessary antagonism while giving the Quad countries enough time and scope to evolve a viable economic and security architecture in the Indo-Pacific. The sixth and the final point is with regard to the defence cooperation, which can also be the most visible manifestation of a strategic relationship between India and the US. While a national security doctrine is an ideal point to start defining strategic interests within and outside the borders, it may be difficult for India to articulate one given the fast-changing relations between countries and their implication on Indian strategic interests. In this context, the Indo-US defence dialogue gives an opportunity to co-evolve a strategic outlook based on which both countries can start to operationalise India’s status of ‘major defence partner’ that the US accorded to India. This should also start infusing necessary predictability about the capability that India should acquire. It may not be out of place to assume that the US may be looking at some concrete reciprocity from India for having given India a waiver from CAATSA and for granting STA 1 status – a privilege given to only a few. If such an expectation is indeed there, India will do well to remind the US to follow the same yardstick on the Iran issue as well i.e. insulate India from the adverse impact of sanctions meant for other countries. For India, Iran is also important not only for oil supplies but its easy access to Eurasian and Afghan markets which are also of interest to the US. Specifically, in the context of defence, India should also state the efforts made by the government to return her side of the bargain while ensuring that these efforts yield desired results internally. This could include setting up of the Defence Planning Committee to articulate strategies on national security, the draft Defence Production Policy 2018 which spells out clear export targets amongst other things and FDI policy allowing 100% FDI on a case to case basis i.e. when there is a full transfer of technology. On the US’s part, allaying Indian concerns regarding Communications Compatibility and Security Agreement (COMCASA) will be crucial. Essentially, meant to enable the transfer of critical, secure and encrypted communications between weapon platforms to facilitate interoperability, the concerns regarding COMCASA include intrusive American access to Indian military communication, fate of the equipment in case Indo-US ties were to go awry and fear that Russian-origin and indigenous Indian military platforms may not be compatible with COMCASA. The other aspect that should occupy the defence talks should be the suboptimal results from the Defence Technology and Trade Initiative that came into existence in 2012. It is important to understand those reasons and in doing so both sides need to be accommodative of each other’s position while ensuring that it is not undermining the strategic convergence necessary for both to define their national interest and strategic autonomy first. Finally, the US must realise that in the domain of arms trade the demand is growing and so are the sellers and Western countries which once dominated the market are feeling the heat of competition. As a result, buyers are more keen on diversifying their choices of sellers. India is not alone in this. Other US allies like Saudi Arabia are also looking to exercise their choice. To sum up, it must be reiterated that the 2+2 Dialogue has opened up a window to address specifics along with broader geopolitical issues and therefore it is a starting point in formulating a peaceful and alternative vision to the future of liberal order while ceasing an opportunity to address the North-South divide in the existing architecture. Pradeep S. Mehta and Abhishek Kumar work for CUTS International, a global public policy think and action tank. CUTS Intern, Aayushi Idda Sharma contributed to the article.